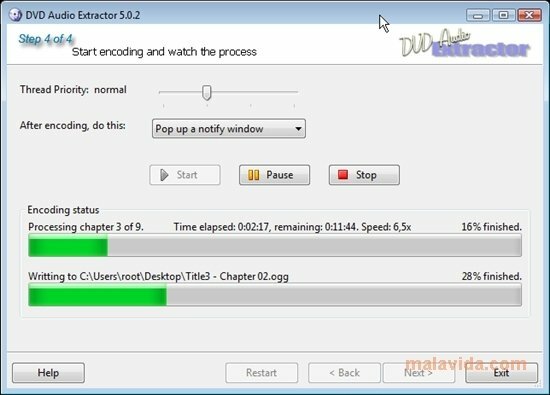 DVD Audio Extractor is a powerful tool to extract audio tracks from your DVDs, regardless of whether the disc contains a film or audio files. 1. Put the disc into the DVD unit. 2. Select the unit where we can find the contents of the DVD in the unfolding menu. 3. Press the icon that can be found on the right to refresh the contents of the disc. After that, you will be able to see the disc information: with the titles and chapters that it contains, as well as their length and the different sound tracks that it includes. Now, all you have to do is select the audio track that you want to extract and, after that, indicate the format and the compression parameter that adjust most to your needs. 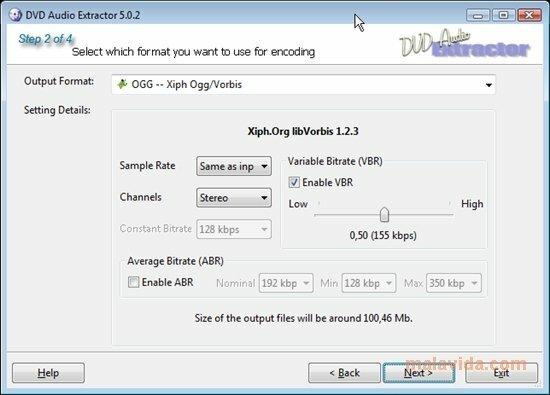 The supported output formats for DVD Audio Extractor are: OGG, MP3, WAV and FLAC. Furthermore, you will be able to select the sample rate, the number of channels and the bitrate. 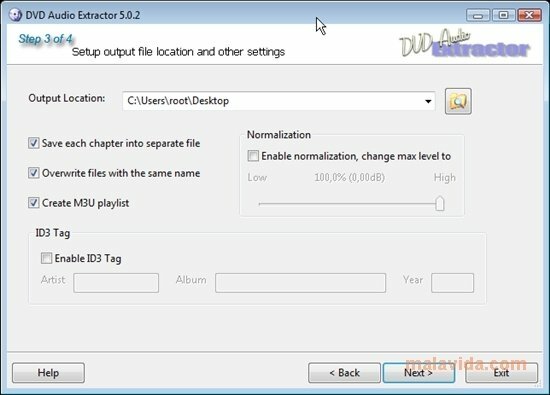 In a couple of minutes, DVD Audio Extractor will save the audio tracks from any DVD on your hard drive.